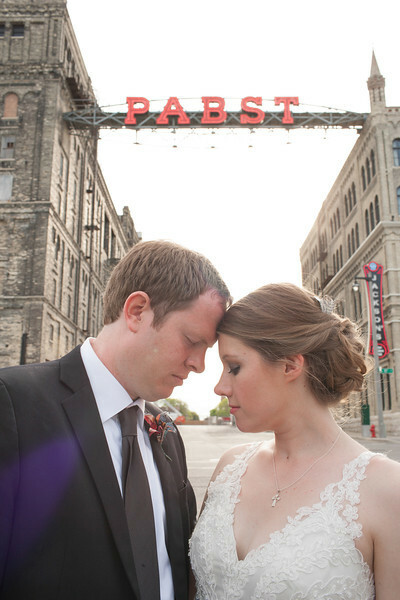 Photography Locations - Fornear Photo | Husband & Wife Wedding Photographers Traveling the Midwest & Beyond! We LOVE to travel! We love being traveling photographers so much we have even purchased a vintage Airstream Argosy we are renovating to use as a mobile wedding photography office in the future. If you would like to follow our adventures check out A Riveting Life on Instagram. You make it worth it to us, our clients really are the best! One of our favorite things about being wedding photographers (in addition to working with awesome and offbeat people) is that we get to photograph SO many amazing locations for your special images, Offbeat Bride weddings, family photography, destination wedding photography, portrait photography, event photography and product photography needs not only in the Northwoods of Wisconsin but the entire Midwest and beyond! Some of our favorite types of weddings to photograph are themed weddings. Have you ever considered a destination wedding, a Northwoods wedding, a rustic wedding, a camp wedding, a brewery wedding, an LGBTQ wedding, a Vegas wedding, a zombie wedding, a Halloween wedding or a Game of Thrones wedding? Well, we have photographed all of these types of weddings and needless to say they all are a blast! Our wedding photography service areas include: the Northwoods, the Midwest, Wisconsin, Illinois, Minnesota, Michigan, Upper Michigan, Indiana, Missouri, Iowa, Arizona, Nevada, California, the Southwest, Eagle River, St.Germain, Sayner, Land o' Lakes, Conover, Minocqua, Manitowish Waters, Mercer, Boulder Junction, Arbor Vita, Lake Tomahawk, Sugar Camp, Three Lakes, Antigo, Watersmeet, Iron River, Ironwood, Houghton, Ontonagon, Marquette, Copper Harbor, Traverse City, Mackinac Island, St.Ignas, Hurley, Ashland, Bayfield, Brule, Superior, Duluth, Antigo, Crandon, Pelican Lake, Laona, Carter, Rhinelander, Tomahawk, Merrill, Wausau, Stevens Point, Green Bay, Door County, Egg Harbor, Fish Creek, Sturgeon Bay, Sister Bay, Appleton, Oshkosh, Fond du Lac, Elkhart Lake, Sheboygan, Milwaukee, Third Ward, Racine, Kenosha, Brookfield, Pewaukee, Oconomowoc, Madison, New Glarus, Spring Green, Poynette, Beloit, Rockford, Chicago, Naperville, Arlington Heights, Decatur, Springfield, Argenta, Champaign, Bloomington, St.Louis, Wisconsin Dells, Eau Claire, Menomonie, Hudson, Twin Cities, St.Paul, Minneapolis, Las Vegas, Fremont Street, Reno, Palm Springs, Los Angeles, San Diego, San Fransico, Phoenix, Tempe, Mesa, Chandler, Tuscan, Sedona and Flagstaff. If you don't see a location listed above be sure to Contact Us for travel throughout the entire United States and worldwide!